Brewer Description: (from website) A beach ready double IPA brewed with Polenta and Mosaic hops. 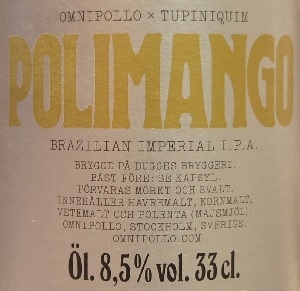 Brewed in collaboration with Tupiniquim in Brazil. Intro: A 330ml bottle with a best before date of 13th September 2017. Poured into a Lost Abbey teku glass. 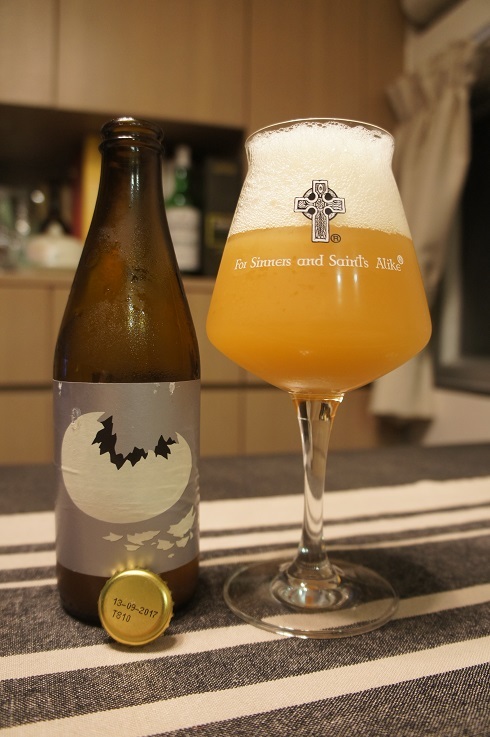 Appearance: A hazy milky dark yellow orange colour with a big two finger white head that dissipates quite quickly but left some sparse sticky lacing. Unfortunately this dull dark milky colour was rather unattractive. Aroma: Fruit bomb with candied pineapple, mango and mandarin orange. 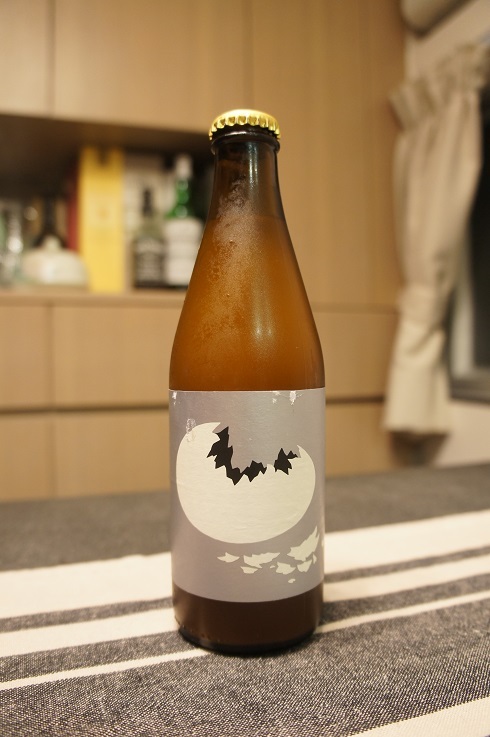 Taste: Lightly tart with bitter fruitiness. Mango, mandarin, grapefruit and orange zest with a touch of biscuit. Mouthfeel: Medium bodied with moderate, spritzy carbonation. Overall: Despite its unappealing appearance, it’s juicy fruity aromas and taste do make this beer enjoyable.